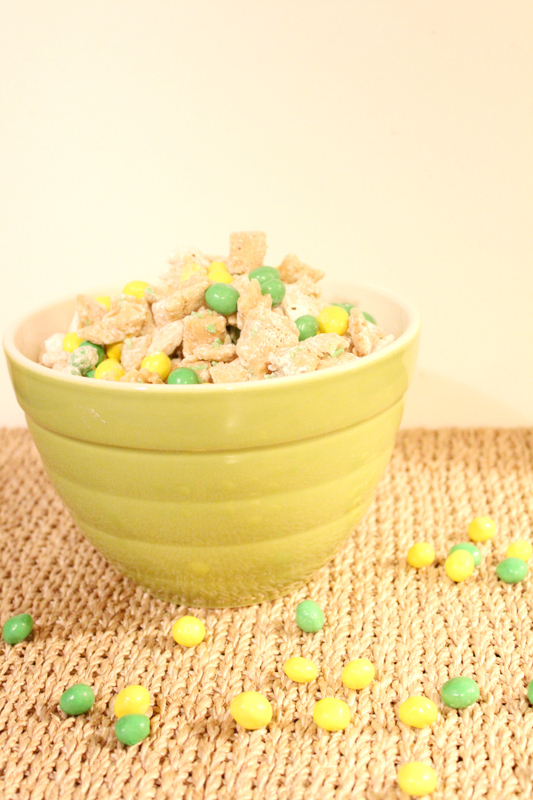 Today I am sharing one of my favorite snacks of all time...Puppy Chow! This is a super easy recipe that everyone will love (my husband is obsessed) and the best part is, is that this recipe works for all holidays! Just change up the candy colors. Measure out 9 cups of Rice Chex. In small microwavable bowl, microwave baking chips, peanut butter and butter, uncovered on High- 1 minute and 30 seconds, stirring every 30 seconds (until melted and smooth). Pour peanut butter mixture over Rice Chex, stirring until evenly coated (if the mix is still too thick I always dump more melted butter on top-because #fatkidproblems). Place 1/2 of the cereal mixture in a 1-gallon food-storage plastic bag and add powdered sugar. Shake until well coated, then spread onto waxed paper to cool. Stir sprinkles into the other half of Rice Chex and then spread onto waxed paper to cool. 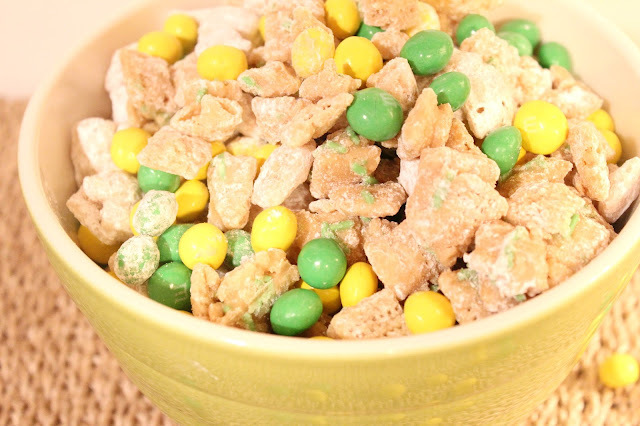 Once both halves of cereal have cooled (about 10-15 minutes) you can then mix them together in a large bowl and then add in M&M's. You can read my post about how I used to be a Championship Irish Step Dancer HERE. 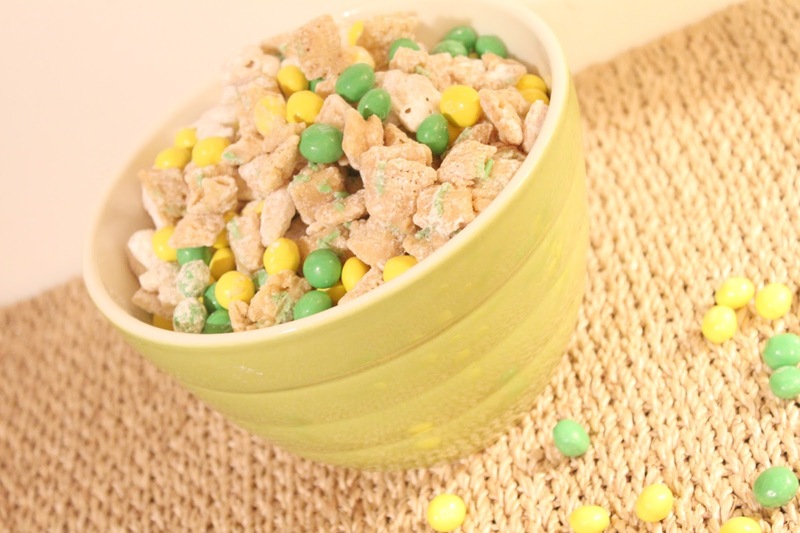 What a great St. Patrick's day recipe. Loos so delicious! Thanks lady! Stuff is seriously addicting!! Puppy chow really is the best! 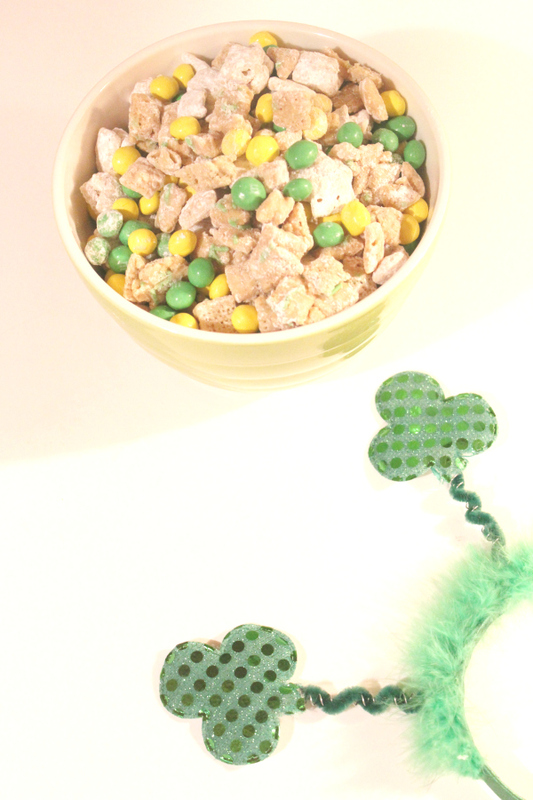 I love that you added the M&Ms to make it extra festive for St Patrick's Day!